Is your garden looking pale and plain? It isn’t easy to create a beautiful and exciting looking garden, especially when you have to constantly maintain your plants to keep them vibrant and healthy, or when you are limited on time and money. But a beautiful garden doesn’t have to take up all your time or cost you a fortune. There are plenty of things you can do that will improve your garden and boost curb appeal in much less time than you might think. A dry or faded lawn will definitely make your garden and even your entire home look plain. With a thick and vibrant lawn, everything in your garden just looks better. The lawn is the first place you need to start for a beautiful garden. Start fertilising your lawn and water it frequently. 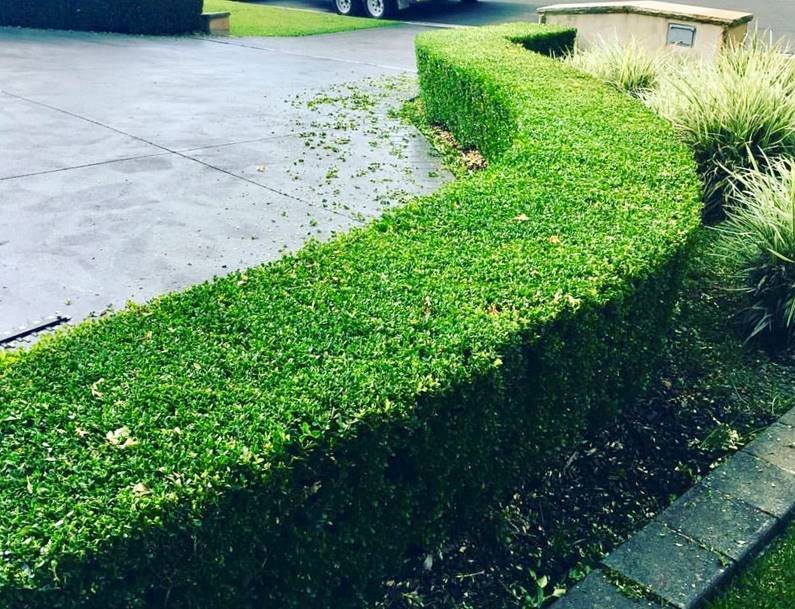 A good trim can do wonders for the overall look of your garden. Grab those sheers and start trimming all of the trees and shrubs in your garden. When all the messy bits are out of the way, your garden will look a lot more open and organised. Falling leaves, twigs, and weeds will make your garden look pretty messy and can also make everything look dull, especially during the winter. With regular clean-up, your garden will be much more beautiful. Start accenting your flower beds and the edges of your lawn with a contrasting flower bed as your border. Something like a stone edge will make it much easier to maintain your garden and will increase your garden’s aesthetic appeal. Mulch is superb for bringing down your water bill because the sun can’t absorb quite as much moisture from your garden when you use mulch, meaning you end up using less water. Tinted mulch will give your garden a very interesting look and is great for brightening up your outdoor space during winter. Box off that unsightly air-condition unit with a cover-up, and you will see a tremendous improvement in your garden. A beautiful water feature will make your garden look a lot more interesting. The sound of running water is also incredibly soothing while you are spending time in the garden. Don’t let your garden hose lie around on your lawn. Create a dedicated area for your garden hose that looks good so you can extend the life of your hose and keep it protected from pets. A pathway in heavy-traffic areas will reduce the foot traffic on your lawn and will prevent your lawn from dying. An attractive pathway will also improve the overall look of your garden. These walkways are also great for keeping mud and water out of the house. Landscape lighting is visually pleasing and will also make it much more fun to spend time outside after dark. Evergreen plants don’t shed leaves during the winter time. They look great all year round and the clean-up during winter is significantly lower. If you don’t have the time to implement these changes yourself, then Gardening Angels can help you. Our garden experts are incredible at landscaping and we can transform your garden into the outdoor space of your dreams. For more information on what we can do for your garden, contact us today.